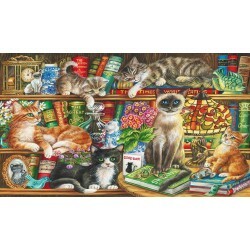 Artist Judith Yates makes her Gibsons debut with this comical 1000 piece jigsaw. If cats could write novels, here are a few titles we might find on our bookshelves that could make purrfect reading! Gibsons jigsaws are made from the highest quality 100% recycled board and are therefore a pleasure to handle again and again. 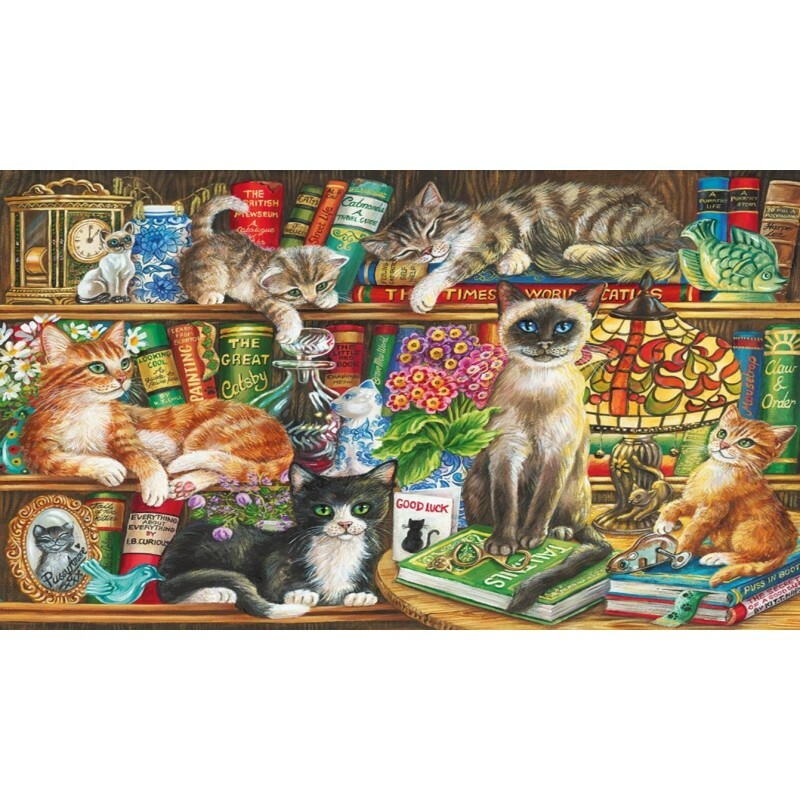 Puss in Books is also available in our mini gift range. Judith Yates has worked as a Fine Artist, designer and illustrator for the past 20 years and has worked freelance for the last 17. After graduating in Fine Art Painting, she relocated to Brighton and began selling her work through local and London galleries, as well as producing artwork for publishers and undertaking a variety of private commissions. After managing two design studios, she followed her dream and developed her own illustration business, where she works with a wide range of worldwide clients on a variety of products, including the areas of giftware, packaging, furnishing, publishing, and fabric design.